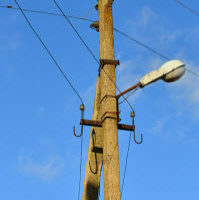 Modern life could not function without the services provided by utility companies, namely electricity, water and sewage. One persistent issue with these companies is the danger their facilities and equipment pose to residents and others who may come into contact with these facilities and equipment. These companies are not free to recklessly expose the public to dangerous conditions, and can be held liable in a personal injury lawsuit if someone is injured. Negligent installation or maintenance of exposed equipment and fixtures, especially power lines, can lead to serious injury and death. Florida Power & Light was recently found liable in the electrocution death of a 14-year-old boy, and ordered to pay almost $24 million in damages to the boy’s mother. The boy died after climbing a bamboo tree that came into contact with a 13,000-volt power line, and the company knew the tree posed a serious safety issue for at least three years. However, electric shock injuries can also come from other entities that may be legally responsible. A discussion of the parties that could be implicated in electricity-related injuries, and how the law assesses a utility company’s legal duty to protect the public, will follow below. Electricity is not a substance to be taken lightly, but everyone interacts with it on a constant basis throughout the day. Direct contact with electric current can easily lead to brain injury, burns, paralysis or death Thus, the products, outlets and access points consumers and the public encounter need to be designed and maintained in a safe manner. Most electricity-related injuries occur in the workplace or at home, which is logical, considering those places are where people spend most of their time. Further, the likelihood of injury increases greatly for those working in industrial fields that involve large machinery which may be improperly maintained, overloaded or outdated. In and around the home, danger comes from defective products that are ungrounded or lack proper insulation, or from down or exposed power lines that are not appropriately deactivated and repaired. Depending on the circumstances, an employer, a utility company, a building owner or a product manufacturer could be liable for negligence that led to an injury, and an experienced personal injury attorney is best positioned to advise on all potential sources of compensation recovery. Electricity companies have a duty to take reasonable precautions to prevent injury to others, and determining how far that duty extends in a given case depends upon the negligence concept of foreseeability. Under this legal theory, negligence applies when there is a foreseeable zone of risk, and puts the onus on the utility company to reduce the risk or take sufficient precautions so that others are protected from any harm this risk poses. For the purpose of an electricity company, this includes insulating live lines, posting warnings so the public knows live lines are present, and deactivating lines when they go down or are otherwise malfunctioning and capable of causing serious injury. The biggest issues in these cases is typically whether a utility company had a duty to act, which usually comes down to the relationship the electricity company had with the injury, i.e., whether the injured party was a customer versus an incidental beneficiary of the company, such as a member of the public. Further, the actions of the injured party may also be determined to hold the injured party partially at fault for his/her injuries, which affects the amount of damages a plaintiff can collect. These technical issues are just a few examples of the complications common in these cases, and illustrates why an experienced personal injury attorney is needed to assess the merits. Injuries from an electrical shock are some of the most dangerous a person can suffer. If you were injured by a defective product or improperly secured or maintained electrical source, contact the Miami personal injury law firm of Pita Weber Del Prado to assess your claim. We have the knowledge and resources to show the defendant is accountable, and get you the compensation you deserve. Contact us for a free consultation.